Are States Ready For The Next Economic Downturn? It’s been 9 1/2 years since the last U.S. recession - the second-longest period between economic downturns on record. The economy still appears to be going strong. But there are signs trouble may not be far off. The good news for states is that most seem to be reasonably well prepared for it. By some key measures, the U.S. economy is humming. Non-farm employers added 312,000 jobs in December. The unemployment rate is at its lowest level in nearly 50 years. GDP is growing at a brisk 3-plus percent pace. And the core inflation rate, which excludes volatile food and gas prices, is relatively low, at 2.2 percent. But other economic indicators don’t bode as well. In 2018 the major stock market indexes had their worst year since the Great Recession and their worst December since the Great Depression. The housing market has slowed. The U.S. Treasury yield curve - a graphical representation of yields at different maturities, usually ranging from three months to 30 years - has been flattening and threatening to invert, an indication that investors lack confidence in the near-term economy and an enduring if not entirely infallible recession predictor. The global economy is also slowing, which hasn’t been helped by President Trump’s trade war with China. And the partial shutdown of the federal government could soon become a significant drag on the U.S. economy. Nearly 49 percent of the U.S. CFOs surveyed late last year by Duke University’s Fuqua School of Business said they believed the economy would be in recession by the end of 2019, and 82 percent said they believed a recession would begin by the end of 2020. CFOs around the world had similar expectations about their own economies in the near term, according to the survey. 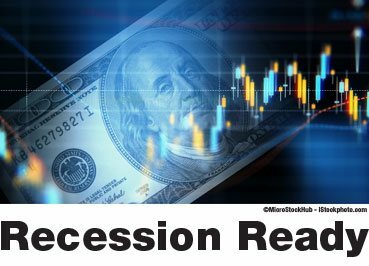 A poll of economists by Reuters in December placed the probability of a U.S. recession in the next two years at only 40 percent. But that rate is not only up five percentage points from a similar poll the month before, but is also one of the highest rates since January 2008, at the start of the Great Recession. Within that group of states, reserve balances as a percentage of general fund spending ranged from 101 percent in Alaska and 137.2 percent Wyoming to 8.7 percent in Iowa and Tennessee, according to data Moody’s obtained from the National Association of State Budget Officers (NASBO). The potential fiscal hit from a moderate recession, by Moody’s calculations, also varied quite a bit, from -46.3 percent in Alaska, which is largely dependent on oil production - and, consequently, volatile oil prices - for its tax revenue, to -7.1 percent in North Carolina and South Dakota, which derive most of their revenue from more stable income and sales taxes. But the number of states that Moody’s deemed “significantly underprepared” for a moderate recession - meaning they were 5 percentage points or more away from having the reserves they needed - also increased from 2017, from 15 to 17. Reserve balances in those states ranged from 10.2 percent of general fund spending in Michigan to 0.1 percent in Pennsylvania and Kentucky. The projected reserve shortfalls resulting from a moderate recession ranged from -5.2 percent in Arkansas to -15.6 percent in Louisiana. 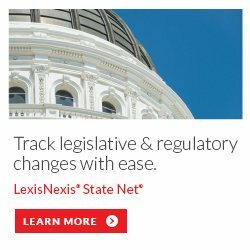 Moody’s identified another 10 states - Colorado, Connecticut, Florida, Maine, Maryland, Massachusetts, Ohio, Rhode Island, Utah and Vermont - that had reserve balances that were within five percentage points of the amount they would need for a moderate recession, conceivably allowing them to make it through such a downturn with some additional fiscal action. But there are still reasons in Moody’s report for those 10 states and many of the 23 others designated as being ready for a moderate recession to be concerned. First, is the fact that Moody’s also conducted a severe recession scenario, which found that only six states - Wyoming, Alaska, West Virginia, Oregon, Hawaii and Delaware - had sufficient reserves to get through a downturn like the Great Recession without having to make the kind of deep cuts the 2007-09 crisis necessitated, which included the elimination of nearly 750,000 state and local government jobs. What’s more, 36 states were nearly 6 percent or more short of having the reserves they would need to ride out a severe recession. In addition, in both the moderate and severe recession scenarios, budget surpluses were included in Moody’s reserve balance calculations along with funds designated specifically as “rainy day” reserves. If those calculations had been limited just to actual reserve funds, some top performing states, like Hawaii, Nevada and New York, would not have fared as well. Moody’s report also indicated that state pension payments, or actuarially defined contributions (ADCs), would increase by $11 billion on aggregate - a little over 1 percent of total state revenues - in a moderate recession and $14 billion in a severe one. It said the impact would be relatively insignificant in most states, but some, like Illinois and Kentucky, could face considerable stress, due to their already-large pension debts and high ADCs. On a more positive note, a report last fall from NASBO points out that governors and state lawmakers have remained cognizant of the importance of building up their reserves since the Great Recession. Between fiscal years 2010 and 2018, the median state rainy day fund balance rose from 1.6 percent of general fund spending to 6.4 percent, the report states. Thirty-two states also took advantage of strong revenue performance in fiscal 2018 to bolster their reserves, and the same number are planning to boost rainy day funds in fiscal 2019. Those two groups include states among the 17 designated by Moody’s as being least prepared for a recession. As the Pittsburgh Tribune-Review reported, last July Pennsylvania made the first significant deposit into its rainy day fund in almost a decade. The Trib noted that the $22 million deposit - bringing the reserve’s balance to $22.5 million - would only cover the state’s expenses for a quarter of a day, but that was still an improvement from the tenth of a day the fund would have covered before the payment. Arizona Gov. Doug Ducey (R), meanwhile, said last week that despite his state’s strong revenues, he wouldn’t include much new spending in his forthcoming budget but would instead focus on doubling the state’s rainy day fund to $1 billion, according to the Mohave Valley Daily News. “Although it may be too late to get reserves up to the level necessary to fully weather the effects of the next recession, every dollar that can be put away in the meantime is a dollar that will not have to be raised via taxes or spending cuts in a few years,” its report stated. For all of the states, Moody’s counseled that having a plan for how to use their reserve funds was just as important as having the funds themselves. “The importance of being purposeful with rainy-day reserves and developing a plan before it starts to rain cannot be overstressed,” the report said.